EXCERPT: Mike Huckabee said he believes the Iran nuclear deal would be bad for Israel. Not just bad  Holocaust-level bad. 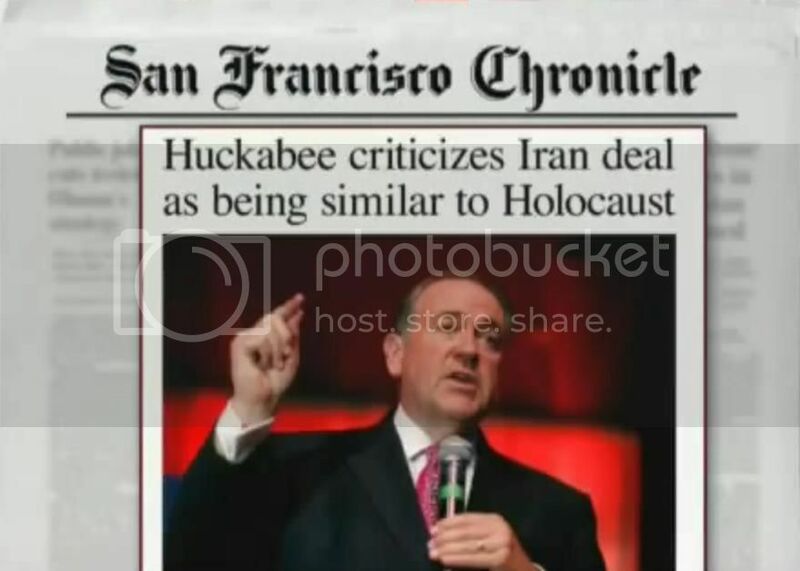 In an interview with conservative news outlet Breitbart on Saturday, the GOP presidential hopeful and former governor of Arkansas said the deal will take the Israelis and march them to the door of the oven. After facing criticism for the comparison, Mr. Huckabee stood by his remark and posted anti-Israel comments from Iranian officials on Twitter. (from World War One) Over the parapet of a trench, especially at the start of a futile attack. The men were sent over the top to their certain death. (idiomatic) Bold; beyond normal, expected, or reasonable limits; excessive; outrageous.